Services every Sunday at 11. The old bell rings before and after service. 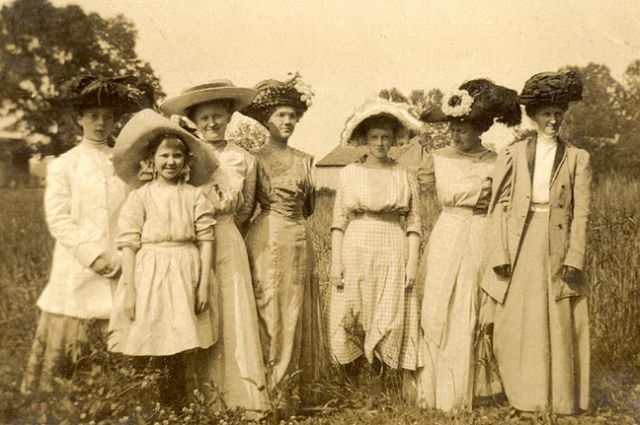 1910 Photograph. 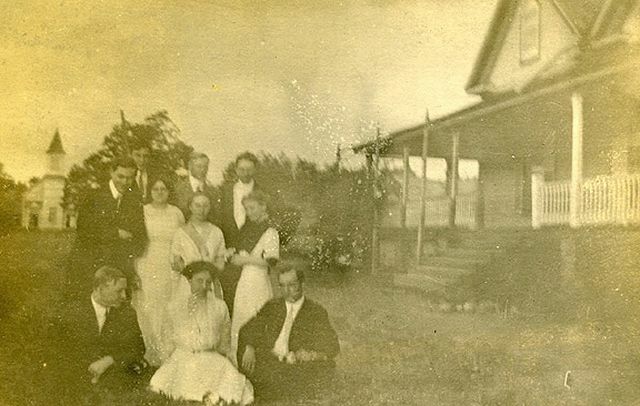 Mattie Sarrett (Kay Borden's great aunt) is the lady with her hand near her face. 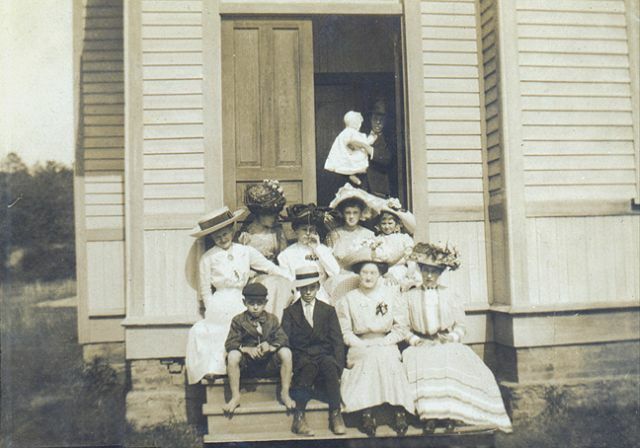 The lady wearing glasses on the front row next to the kids is Miss Willie May Milhollin. 1920 Photograph with the original Methodist Church in the background. 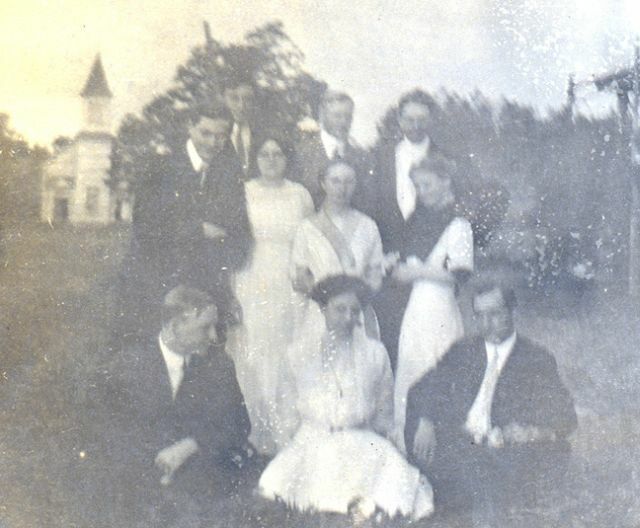 The lady in the center wearing glasses and the dress with the darker lapels is Kay Borden's Great Aunt Mattie Sarrett, who died in 1978. This church later burned to the ground and was rebuilt on the same foundation. If you know who any of the folks above are, please contact us.